2017 is on its way! And that means New Year’s resolutions. What are you goals for the new year? 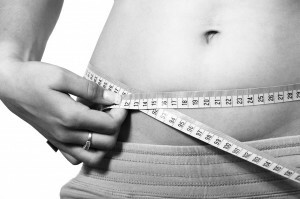 Many people will set the goal of losing weight or a dress size or two. (Here are some tips to help achieve those goals!) Others will plan on a new pr (personal record) in their favorite activity: running, triathlons, etc. Without a doubt, measureable goals are essential to our long term success. (Click here to read about S.M.A.R.T. goals.) But perhaps, in addition to specific, measurable goals, we can set goals to challenge ourselves in other less measurable ways. Challenge yourself as a mover. For instance, do you kind of find exercise a chore? Challenge yourself to find your joy in movement. Like me, have you labeled yourself as “not a dancer”? Take a dance-oriented class, like Zumba or Nia. Perhaps you love your Pilates classes because you can exercise without running out of breath. Well, maybe 2017 is the year for you to discover DaVinci BodyBoard, a high-intensity interval training workout that works your heart and lungs! Try a new teacher; mornings instead of evenings or vice versa, etc. Move yourself out of your comfort zone in 2017 and you may find your new greatest joy! Your body will love the new challenge and you will feel empowered! How have you challenged yourself so far at Pilates Studio City? How have you benefited? How do you plan to challenge yourself at Pilates Studio City this coming year? Share your experiences and plans below!